Forget robots that look like humans, the next generation of robots will be based on animals – from snakes to locusts and even a robotic octopus that can study the ocean floor. When it comes to robots, science fiction has conditioned us to think of androids – bipedal machines approximating the human form. 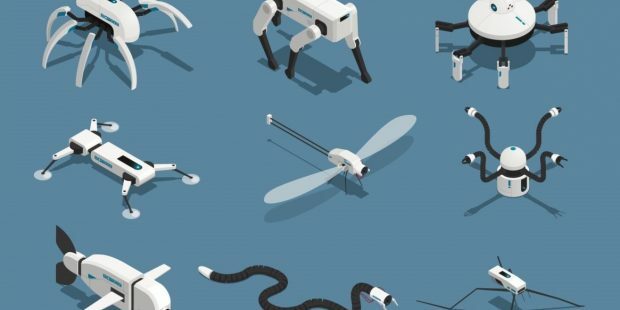 But the next generation of robots may be based on very different types of animals: snakes, flies, locusts and even the multi-tentacle octopus. Israeli scientists are hard at work on just such contraptions. Here’s a look at seven of the most fascinating designs that can help with everything from exploring our insides to cleaning up the mess we make on the planet. Medrobotics’ signature product, the Flex Robotic System, allows physicians to reach deep into the body with minimal risk. The Flex system is based on a snake, with multiple mechanical links. 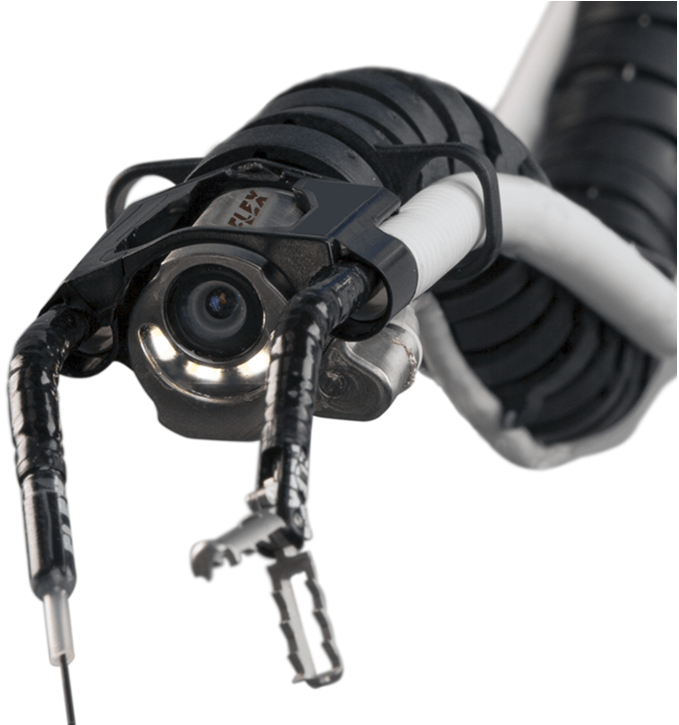 The snake robot’s “eyes” see in 3D to help the surgeon navigate. The physician controls the snake’s movements via a video-game-like joystick. Once in place, the Flex can become rigid, allowing a surgeon to pass through it instruments which can cut or suture; the instruments are also controlled robotically by the joystick. Flex is ideal for exploring non-linear or circuitous paths like the colon, a tricky and sometimes dangerous task using a traditional straight endoscope. Flex can enter through the mouth as well, allowing physicians to reach tough-to-access areas of the body such as the larynx and vocal cords. Medrobotics was founded in 2005 and began its slinking in the medical engineering lab of Alon Wolf at the Technion – Israel Institute of Technology. Snakes are a popular animal inspiration for Israeli-designed robots. David Zarrouck, head of Ben-Gurion University of the Negev’s Bio-Inspired and Medical Robotics Lab, has developed a “minimally articulated serial robot” (MASR). The robot approximates a snake by traveling back and forth along a thin rotatable structure using two motors that slide up and down its articulated “body.” Additional sections can be added and subtracted easily – up to four links in less than a minute. 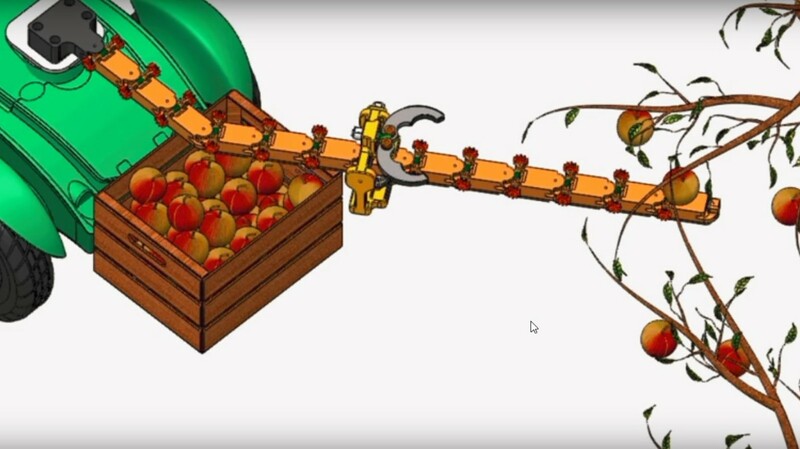 Part of BGU’s ABC (Agricultural, Biological and Cognitive) Robotics Initiative, MASR is intended for such missions as agriculture (picking fruit); search and rescue; and fixing, docking or refueling satellites in outer space. If bats frighten you, you’ll want to steer clear of Tel Aviv University graduate student Itamar Eliakim’s latest invention: an autonomous robot that navigates in the dark like a flying rodent. Robat doesn’t actually fly – it scoots on the ground on four wheels. But like its animal inspiration, Robat uses echolocation to map its environment based on sound. An ultrasonic speaker produces frequency-modulated chirps at a rate typically used by bats, and two ultrasonic microphones serve as Robat’s ears. The robot classifies the borders and shapes of the objects it encounters with its own artificial neural network. If the device reaches a dead end, for example, it can use its classification abilities to determine whether it is blocked by a solid wall or by a plant through which it could pass. Roosters can fly but prefer to walk. That was the basis for the design of the Rooster robot from Israeli startup RoboTiCan, launched in 2011 by three students at BGU’s robotics lab. “Most of the time it walks, but when it runs into an obstacle, it can hover and fly,” Ofir Bustan, RoboTiCan’s COO, tells ISRAEL21c. This Rooster’s main agenda is reaching injured victims of natural disasters where it’s not safe to send a human rescue worker. 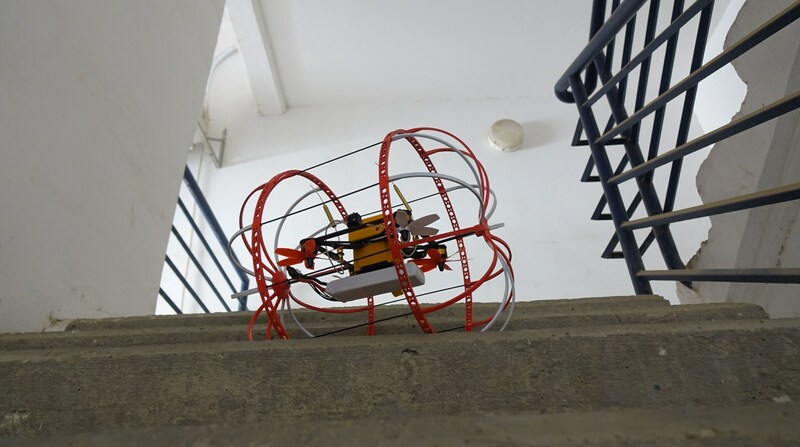 Rooster is tough – it rolls inside a 30-by-40-centimeter cage and can crash from six meters high and keep on working. A team of Roosters can communicate with each other even if there’s no cellular connection available by creating a “wireless mesh network” – kind of like a robotic walkie-talkie. A flock of Roosters can be controlled by a single human operator. And if Rooster hits a wall, it can explore other options without waiting for instructions. The Israeli Ministry of Defense is a RoboTiCan customer. The “Octopus Group” at the Hebrew University of Jerusalem was set up to help create the first soft-bodied robot. Soft silicone rubber “muscles” mimic the way an octopus moves its tentacles, elongating and stretching them as needed. The researchers, led by Prof. Binyamin Hochner, are part of an international project begun in 1996 to build an octopus-like robot that can explore the nooks and crannies on the ocean floor or assist in search-and-rescue missions. The Israeli group is primarily tasked with building the robot’s arm. When is a plague of locusts a good thing? When it’s comprised of tiny high-jumping robots developed in the Holy Land. 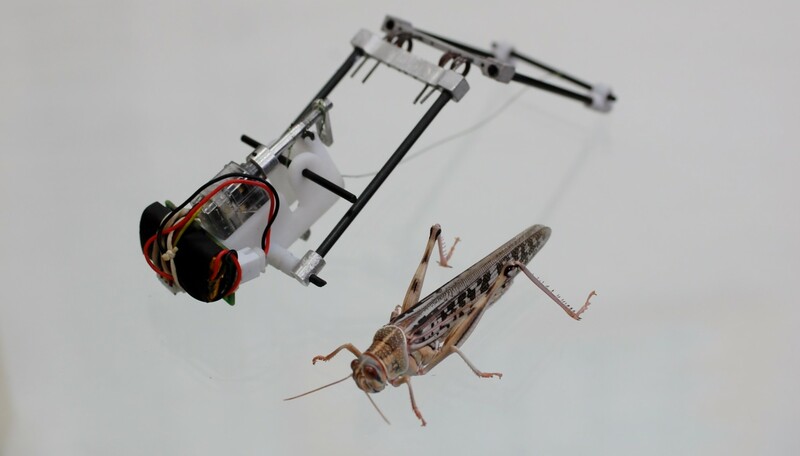 Locusts were the animal inspiration for a team of zoologists and mechanical engineers who have invented a robot that can jump 11 feet and cover a horizontal distance of 4.5 feet – all in one leap. The robot doesn’t look like a locust, but its design is based on the biomechanical features of a locust’s three-stage jump mechanism. These jumping robots haven’t been commercialized yet. “How our prototype could be used is a matter of imagination,” says Prof. Amir Ayali of Tel Aviv University, who hooked up with scientists at ORT Braude College in Karmiel to build the five-inch-long robot. But Ayali foresees small, inexpensive jumping robots accomplishing tasks more efficiently than larger robots. Moreover, the cyber-jumpers can be used in environments where small size is an advantage, such as searching under rubble or cleaning up an oil spill. 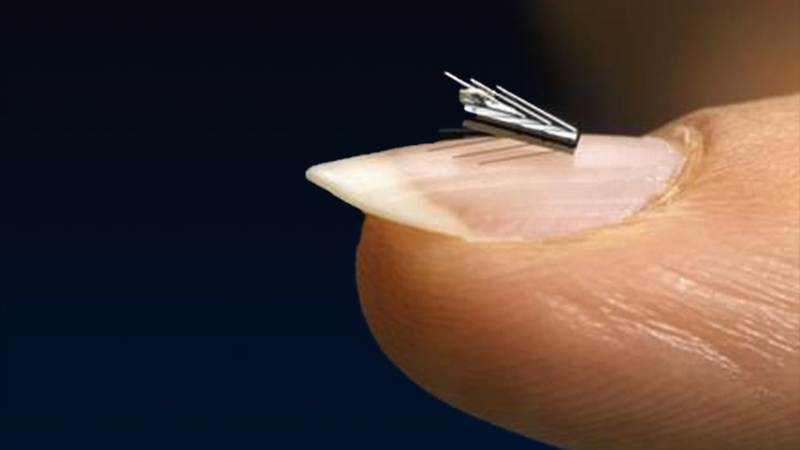 Microbot’s tiny robots can travel around tight spaces and curved passages and remain within the body for prolonged periods of time. They can function autonomously or be controlled using electromagnetic fields operated by a nearby human technician. In 2018, the company received a patent for the first commercial product based on Microbot’s ViRob technology: a self-cleaning shunt for the treatment of hydrocephalus, an over-accumulation of spinal fluid in the brain.